"What a tiny fossil can teach us about a big ice sheet"
"Paleoclimatology: Is What's Past, Prologue?" 12:00 - Keynote Speaker Dr. Reed Scherer: "What a tiny fossil can teach us about a big ice sheet"
13:15 - Danny Hnatyshin: Osmium in groundwater, how much is there and what does it tell us? 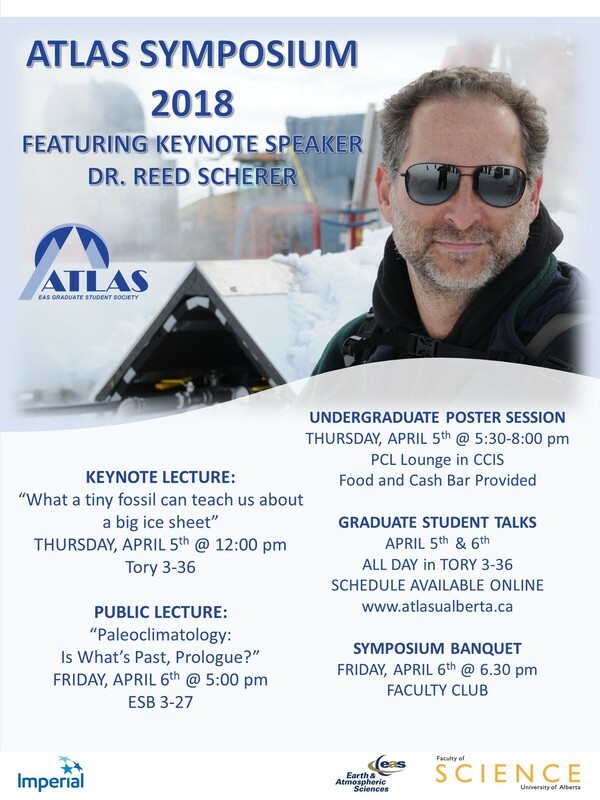 17:00 - Public Keynote Lecture by Dr. Reed Scherer: "Paleoclimatology: Is What's Past, Prologue?"